Divorce: We represent clients in contested and uncontested divorce cases. Our experienced divorce lawyers are prepared to handle all issues in your divorce, including property division, parenting plans, child support, spousal support (alimony) and other critical matters. We have experience advocating for clients who are in the military and clients who have spouses in the military. We are also pleased to answer your questions about collaborative law divorce. High net worth divorce: We have represented many clients in high net worth divorce cases, which often include complex property division issues. With our strong financial background and ability to enlist tax professionals, appraisers and other qualified experts, we are prepared to provide the skilled representation you require. Child custody and parenting time (visitation): We are committed to protecting your parental rights during or after a divorce. Whether you need help with a divorce, legal separation, visitation modification, parental relocation dispute, paternity proceeding or other matter impacting your parental rights, we can help. Visit our child custody and parenting time page, parenting plan page or unique visitation issues page to learn more. 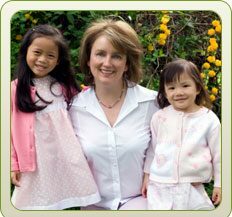 Adoption: We assist clients with stepparent and third-party adoptions. Visit our adoption page to learn more. Modifications: We represent clients seeking a modification of an existing family law order, including a child support modification, child custody modification, parenting time modification or spousal support modification. Enforcement and contempt: Contact our attorneys if your former spouse has failed to pay child support, violated your parenting time rights or failed to obey another family law court order. Visit our enforcement and contempt page to learn more. Grandparents’ rights: Tennessee law gives significant deference to the wishes of parents, but there are situations in which a grandparent may be able to obtain custody of a child or visitation. Visit our grandparents’ rights page to learn more. Prenuptial agreements: We draft and review prenuptial and postnuptial agreements. If you need to speak with one of our experienced family law attorneys, we are pleased to offer a free 30-minute consultation. For assistance, call 615-866-0235 or contact us by e-mail. We serve clients throughout Middle Tennessee.